I don't buy jewelry very often, so believe me when I say that my latest purchase was a big deal. But just look at this necklace. It's a floss bobbin! Made out of sterling silver! Does it get any more perfect for me? No, this was a must-have. ...and it also includes extra floss cut to the right size. This necklace can match anything in your wardrobe!!! I'm so happy I bought this! 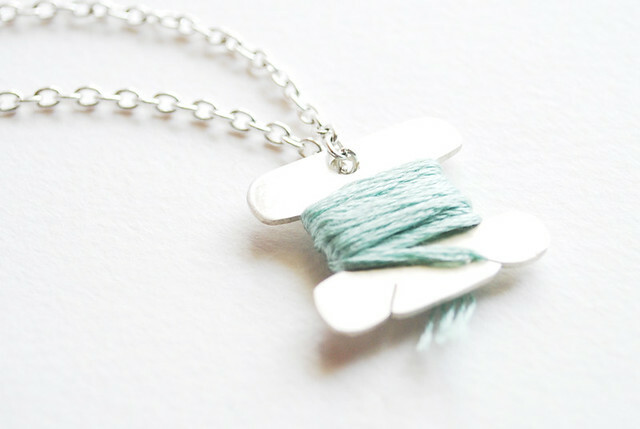 If you love embroidery, go visit Kortni, and check out the Spool Necklace. Highly, highly recommended by this girl! Wow, is that ever cute! Word cannot express how awesome this is. Thanks so much for sharing this. Its so adorable! Great buy! Oh my, I love this so much, what a wonderful piece of jewellery! And I love that it comes with a change of threads! it is indeed adorable! i'm the same as you on the not buying jewelry often front...oh, i admire it often, but actually buy? nah! i do make a lot of jewelry...but that's a whole different story! i may have to check her out! That is so cute!! I think I need the copper button ring from that shop! Thanks for the tip. 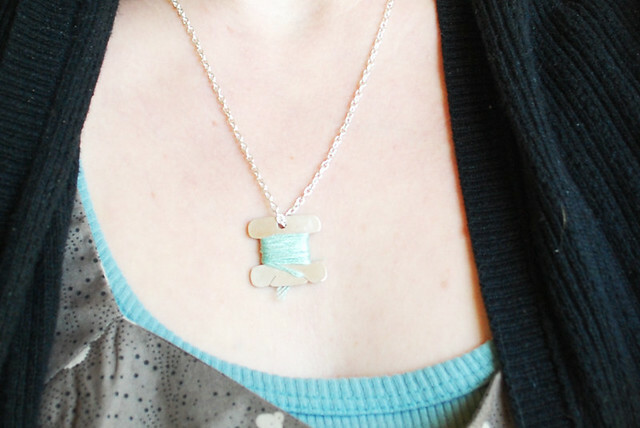 Since I just spent an entire weekend winding floss onto bobbins, I totally appreciate that great necklace! Super cute! Oh my goodness! I love this! So cute and you can wear it with anything :D Thanks for sharing. Brilliant! Why didn't I think of that!!!! That is so genius... and super cute- how perfect for a lover of all things flossy!! That is the most perfect necklace for you! So fun. That is too cool! 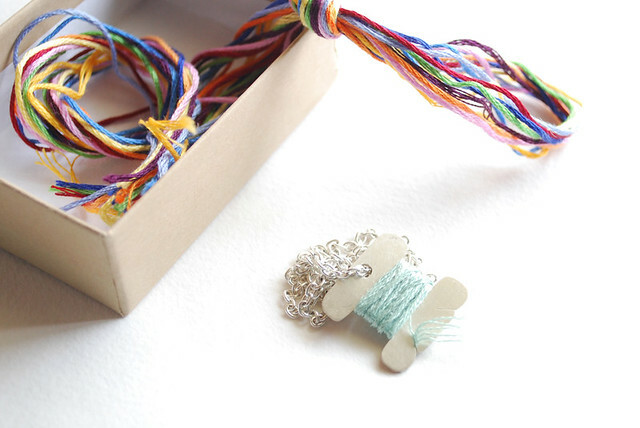 I kind of collect crafty-themed jewelry, so I'll have to beg for this one for my birthday!